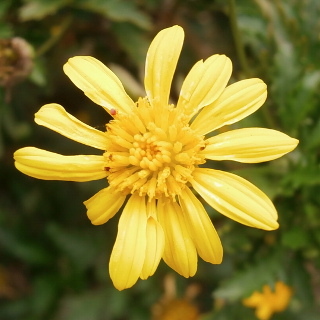 African Bush Daisy blooms Cosmos-like yellow flower. It is called Margurite Cosmos in Japan. 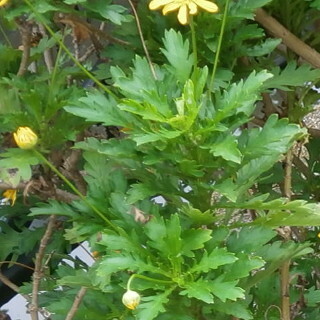 Yellow Bush Daisy and African Bush Daisy looks very closely. 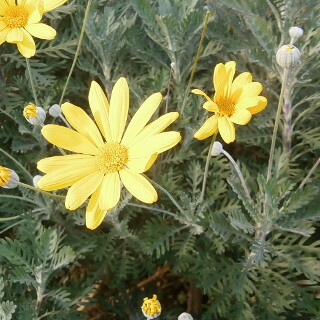 Yellow Bush Daisy is silvery leaves. African Bush Daisy is evergreen. 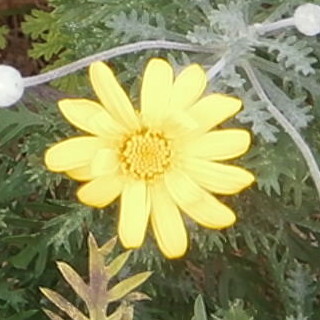 The center of Yellow Bush Daisy looks like Margurite. 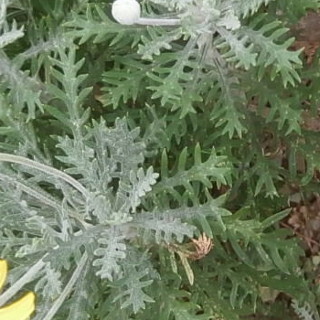 The center of African Bush Daisy looks like Cosmos, center is pushed up. 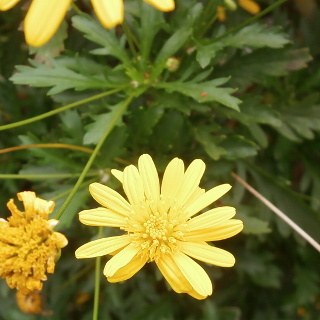 Yellow Bush Daisy blooms in Autumn to Spring, almost cool season. African Bush Daisy blooms Spring to Autumn, almost warm season.